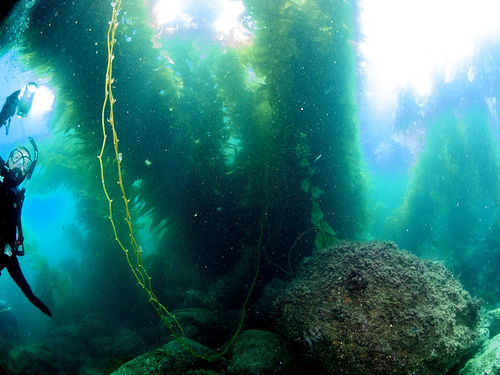 California's kelp forests are disappearing from the north coast. These formerly lush, dense jungles of sea weed provided shelter, food, and in many cases home, for many, many marine creatures. Without this important resource the ecosystem is in big trouble.